Whenever you are looking for a foot specialist, it is important to find a practice with the experience and knowledge to provide you with a one-stop shop to help you maintain healthy feet. In the world of podiatry, Feet First Podiatry is that practice. 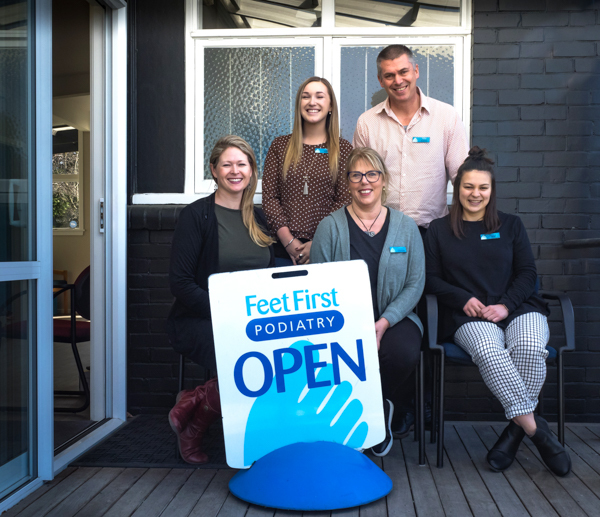 Established in 1983 by Charlotte Russell, it has since grown, with four podiatrists serving the Upper Riccarton area and satellite clinics in Redcliffs, Marshlands, Darfield and now Oxford. The practice has also expanded to include the Shoe Room with fashionable and functional footwear and quality retail items such as Gewhol foot creams and Spirularin anti-fungal treatments. Feet First Podiatry provides general care for all ages, children to the elderly. Services range from common issues such as corns, calluses and ingrown toenails, to specialty services for those who require custom made orthotics or those with diabetic or health related issues, as well as treatments for fungal nails issues. This family practice can be your one-stop shop for foot health so put your best foot forward. See what Feet First Podiatry is all about at the Women’s Lifestyle Expo during the weekend of 29 September where you can view the footwear and speak with a podiatrist. or phone 03-348 7910 for further information.